We contacted Sanju to make arrangements for our trip and was met with Sid through Sanju’s arrangements. Sid speaks great english, was warm and friendly as a guide. 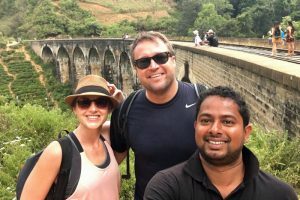 He has a wealth of knowledge about Sri Lanka and is more than happy to share them with you during your journey around the country. He made an effort to provide us a local experience by bringing us to local food spots, stopping by the road side shops for tea/fresh fruits. Sid was definitely a great help in advising us on our plans/itinerary for a smoother trip. See more information and photos of Sanju Travels or Send Message.